Can't Hurt, MAY Help: Pineapple! 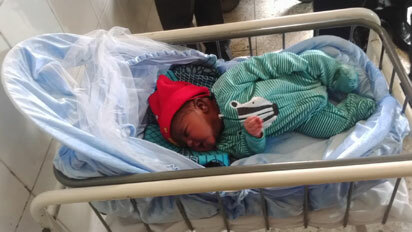 Nigeria has recorded the first successful birth of a baby conceived from frozen egg of a 44 year-old woman, who had suffered infertility for eight years, making it the first in the country and West Africa. 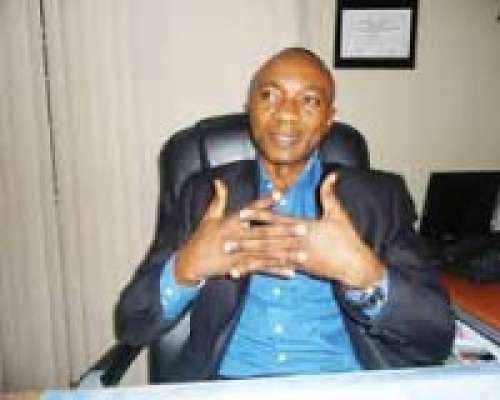 The birth and conception of the baby, named Tiwatope, which is the 5001st in the world, was carried out by Nigerian fertility specialists at The Bridge Clinic, a Lagos-based fertility treatment centre, where the mother had her eggs frozen using the vitrification (flash-freezing) process. The birth of the baby on February 16, 2016, effectively puts Nigeria on the global map as regards the practice of oocyte (egg) freezing or cryopreservation, a new offering in the in-vitro fertilization (IVF) process. Prior to the birth of Tiwatope, the new practice seemed to be the exclusive preserve of the developed world of Europe and North America. When you’re exploring fertility treatment, it’s difficult to know where to start. There’s so much information out there and it’s hard to know which sources you can trust. If you are having trouble becoming pregnant, first thing to admit is that you’re not alone. 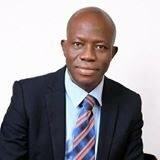 The Lagos University Teaching Hospital (LUTH), Idi Araba, has revived its Assisted Reproductive Clinic. It folded up in the 90s due to lack of funding. 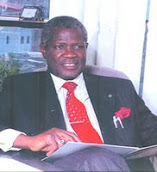 Now known as LUTH Assisted Fertility Clinic (AFC), the duo of Professors Osato Giwa-Osagie and Oladapo Ashiru, pioneered the clinic that produced the first test tube baby in Nigeria in March 1986. ADVICE:'IVF IN NIGERIA' DOES NOT ENDORSE ANY INDIVIDUAL DOCTOR OR CLINIC AND ADVISES WOULD-BE PATIENTS TO ENDEAVOUR TO VERIFY ANY CLAIMS BEFORE COMMITMENT. You do not need to travel abroad for standard IVF treatment as it is now available in Nigeria at a fraction of what it would cost you abroad. You save on air fare and hotel bills and the success rates are comparable with those of clinics overseas. Plus, you are likely to get more suitable egg donors in the country, if you happen to need them. Nigerians resident abroad also find it cost effective to make the trip back, for IVF treatment. 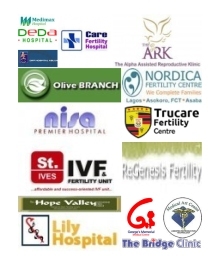 Today, there are over 60 IVF clinics and counting in Nigeria (mostly located in Lagos, Nigeria's commercial centre). After the birth of Nigeria’s 1st test tube baby, an event led by the Dapo Ashiru-Giwa-Osagie team in 1989, there was no follow-up in this field until years later with the establishment of some private IVF clinics. Although relatively few in number (India has over 3000), these clinics offer value for money and an increasing number of them can boast of many success stories. It must be stressed however that the number of women actually treated in each clinic, their set up dates and the take home baby rates, must be taken into consideration when trying to assess their success rates. In making a choice of clinic for IVF treatment, you can always go with the recommendation of your GP but you will be better off knowing what your options are, as set out in the following list. THE CONTACT INFO OF NIGERIA'S IVF CLINICS - ALSO ALPHABETICALLY LISTED AT A GLANCE ABOVE, ARE SET OUT BELOW. THERE IS AS YET NO NIGERIAN BODY SUCH AS BRITAIN’S HFEA (AN INDEPENDENT REGULATORY BODY THAT LICENSES FERTILITY CLINICS), TO VERIFY ANY CLAIMS OF SUCCESS RATES. 1st IVF Cycle: March 19, 2012. G.R.A Phase II, Port Harcourt. START UP DATE: 2009. 4 babies, 11 ongoing pregnancies to date. 36% success rate. Omole Phase 1, Ogba, Lagos. Lekki 3rd round-about or Ikate round about. Woji Port Harcourt. Rivers State. Labels: Hope Valley Clinic, Lagos. 17B Ahaimakara Road,Transamadi Industrial Layout Road,Portharcourt. Nigeria has recorded the birth of its first baby conceived through the oocyte (egg) freezing protocol. February 16, with the delivery of a male child, named Tiwatope. The oocyte was preserved through cryopreservation, which is the cooling of cells and tissues to sub-zero temperatures to stop biological activity and preserve the cells for future use. IVF ends TY Bello’s 9-year quest for motherhood. 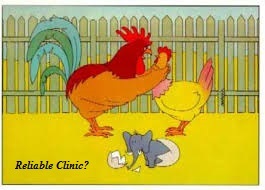 Choose a good clinic to avoid scenes like below! 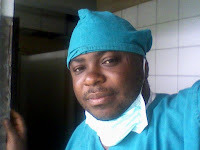 Dr. George Ndukwe, "miracle doctor"
A woman said to be 60 has just been delivered of a baby at a Lagos hospital. For 31 years, Mrs Omolara Irhue was globetrotting not for pleasure but in search of a child. She was a guest in the best hospitals. *Ivf couples must now undergo police checks under new Australian law! Miracle Baby Boy after 13 failed IVF attempts. 2015: she's off to medical school abroad! 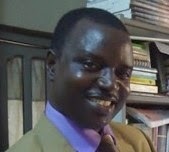 "...with IVF der are no guarantees, a family friend tried 4x in Canada, all bfn, na wen she come Naija it clicked, I think it's a gamble but d diff btwn naija nd oda countries is dat dey gamble with knowledge and facility, for instance I think in making a decision again I will consider a facility where freezing works well so that even if a cycle fails I can try FET..."
A 30 year-old woman, Mrs Funmi Oguanigie, on Friday gave birth to quadruplets at the Eko Hospital in Lagos. 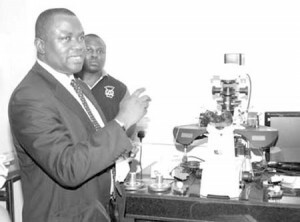 Nigeria records 1st birth following new IVF tech. British lawmakers in the House of Commons voted today to allow scientists to create babies from the DNA of three people—a move that could prevent some children from inheriting potentially fatal diseases from their mothers. IVF plus Chinese Herbal Medicine support is a natural treatment for infertility. 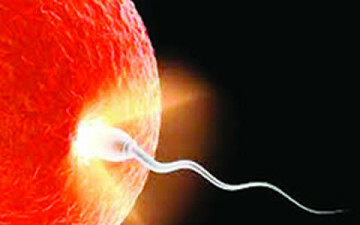 Chinese Medicine complements IVF for hormone Manifestation and increases the rate of success for embryo implantation. This dual approach offers you a greater chance of becoming pregnant and achieving full term delivery. Meredith Olafson, 47, has given birth to 15 babies. Only four of them are her own. In the past 13 years, Olafson of North Dakata has acted as a gestational carrier — she's been dubbed a "super surrogate" — giving birth to 11 children for parents who can't conceive on their own. brazil nuts (naturally rich in selenium) are now available at Shoprite. Eating a handful daily, after embryo transfer MAY aid implantation. Can't hurt, may help! The Bridge Clinic, the leading assisted-conception unit in Nigeria, reached a major milestone in its 10 year existence recently when it recorded its 1000th live birth. Couples with infertility conditions can now heave sighs of relief as one of nigeria’s leading fertility treatment centres, Nordica, will officially open its new facility on Erhuvwu Club Street, Asaba, Delta State, on November 3 2009. The event will start with a week long programme, which includes for a for doctors and nurses, fertility walk and an open day for free discussions and checks. Since inception Nordica Fertility Centre has helped many infertile couples to conceive and get delivered of over 300 babies. 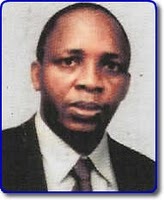 · Birth of Nigeria’s very first IVF baby recorded by LUTH in 1989 through team including Profs. Osato Giwa-Osagie & Dapo Ashiru. 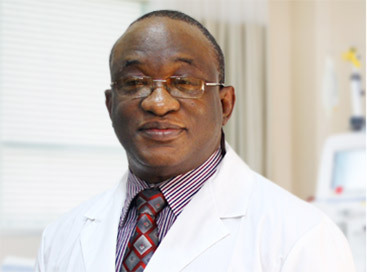 LUTH’s IVF programme was not sustained. 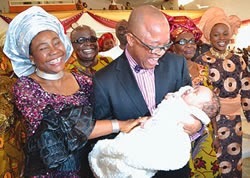 Birth of IVF baby Hannatu recorded 9 years later in February 1998 in Abuja. · Nigeria’s oldest IVF clinic (1999): Bridge Clinic, Lagos. As at 2009, has produced about 923 babies. Also recorded nation’s 1st ICSI & TESA pregnancies. · First & only so far, African IVF clinic to record successful pregnancy in 45 year-old woman using her own eggs: Hope Valley Clinic, Lagos. 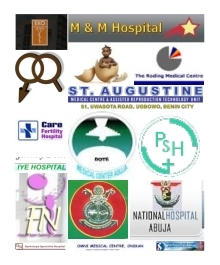 · Only IVF facility currently offering PGD: Medical ART Centre, Lagos. · First IVF clinic in West Africa to record pregnancy in woman with Turner’s Syndrome: Omni Advanced Fertility Centre, Lagos. 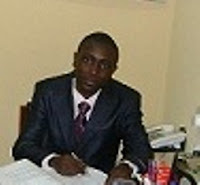 · Only Teaching Hospital in Nigeria currently offering IVF: University of Benin Teaching Hospital. There are a few factors you can influence in increasing your chances with IVF. Eat well, exercise, get enough sleep and reduce stress in your life among other things. However, the most important factor to increase your IVF success is your decision in choosing a fertility clinic. Once you choose a fertility clinic, the outcome of your IVF treatment is mostly in the hands of the fertility doctor and his staff. They choose the IVF protocol, the medication with dosages and all the little details concerning timing, which you will follow exactly. That's why you should consider comparing their IVF success rates! It gives you an indication of a fertility clinic's skill and expertise. So, be good to your body and wise in your decision of your IVF doctor! We have observed that for some time now there have been series of reports by Dr. Ibrahim Wada in the dailies celebrating the 10th birthday anniversary of his first IVF baby. 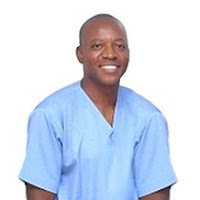 In your publication of Saturday April 11, 2009, it was stated that Baby Hannatu, who was delivered by Dr Ibrahim Wada at Gwagwalada Specialist Hospital 10 years ago, is Nigeria’s First IVF Baby. That statement is incorrect and very false. It attempts to reverse the course of history. About three years ago, another doctor reported having the first IVF baby in Lagos and we had to educate the newspaper that reported it. It is very important for our reporters to do some research, especially when reporting matters of national importance and history. It is also necessary that our professional colleague should give honour to whom it is due and not rewrite history. At the gala night celebrating Baby Hannatu’s birthday at the Sheraton Hotel, Abuja in March 2009, Prof Giwa-Osagie informed the dignitaries at the occasion about the true chronology of IVF successes in Nigeria. Those present to hear him included Baby Hannatu, her parents, Dr Wada himself, the Minister of Women Affairs and General Momah who was the Minister of Science and Technology and had certified Baby Hannatu’s birth at the time, and two former chief justices of Nigeria. 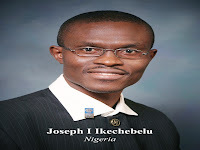 IVF in Nigeria began with a team at the Lagos University Teaching Hospital (LUTH), comprising Prof Giwa-Osagie, Prof Ashiru, Dr Abisogun, Mr. Sanyaolu and Mr. Aro. They started IVF work in 1983 and had the first pregnancy from IVF in West and East Africa in 1984. That pregnancy was documented but miscarried. However in 1989, the team had delivery of a baby girl from its efforts. It is note worthy that most of the current actors in IVF at this point were resident doctors in training. The mother of Baby O had lost both her fallopian tubes from ectopic pregnancies in the UK and became pregnant at her first IVF attempt in Nigeria. The achievement was well documented and was carried prominently in the media at the time. LUTH even produced a special news magazine that had the baby and his parents’ pictures and details. 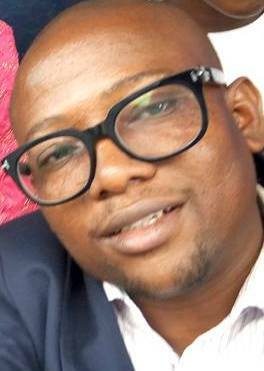 The journalists who carried the news included Lade Bonuola, Onajomo Orere from the Guardian newspaper, and Loiusa Aguiyi-Ironsi from Tell magazine. They are still alive and well for easy reference. After too much publicity, the family of Baby O later got their lawyer to write us stating that LUTH or we should not discuss the baby any further. 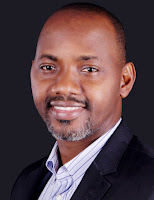 We were also restrained by the Nigerian Medical and Dental Council tribunal, which alleged that we were advertising ourselves through undue publication of our work in IVF. We still have these documents. It is important to state that about 90 per cent of women who have babies through IVF do not want it publicised, even up till now. If you visit our clinics, you will see pictures of babies born through IVF. However, that is as far as most of these parents want to go public. 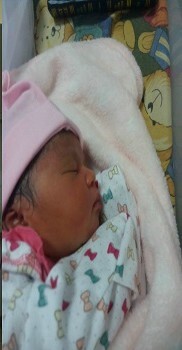 We admire the parents of Hannatu for willing to go public, but that does not make Hannatu Nigeria’s first IVF baby. Also, in the 1980s, there was no Ministry of Science and Technology, and there is still till no requirement for that ministry to authenticate any IVF delivery. 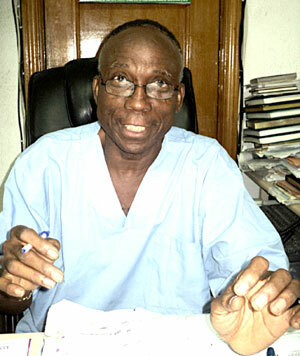 In the 1980s, the Federal Ministry of Health set up two panels to evaluate the LUTH IVF work, under the late Prof Grillo and Prof Adeleye respectively. 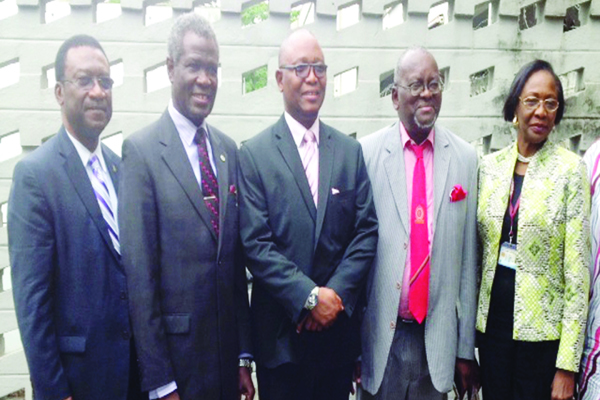 Both panels reported that the LUTH team’s work was genuine and correct. The fact that Dr Wada got the Ministry of Science and Technology to authenticate his work at the time of his first IVF baby cannot invalidate prior major breakthrough in Nigerian IVF success. 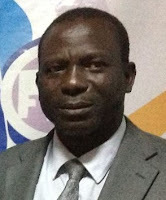 Prof. Giwa-Osagie, OON and Prof. Oladapo Ashiru, OFR. With a lack of acupuncturists working with ivf doctors in Nigeria, above d-i-y device can be useful. 'IVF IN NIGERIA' DOES NOT ENDORSE ANY INDIVIDUAL DOCTOR OR CLINIC AND ADVISES PATIENTS TO CHECK THE CREDENTIALS OF THE HEALTHCARE PROVIDER.